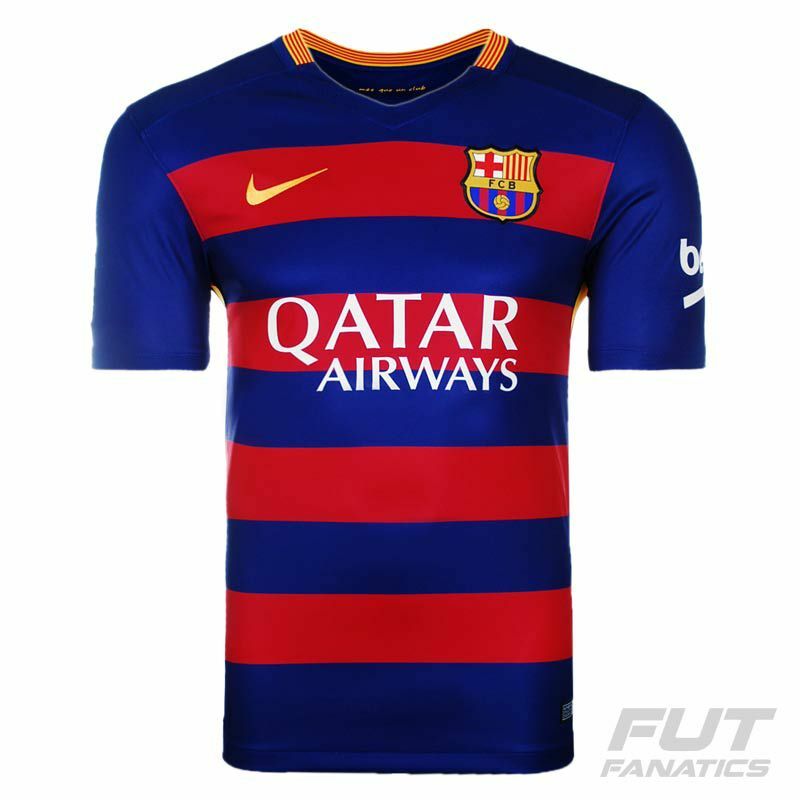 Nike Barcelona 2016 Home Jersey More info. 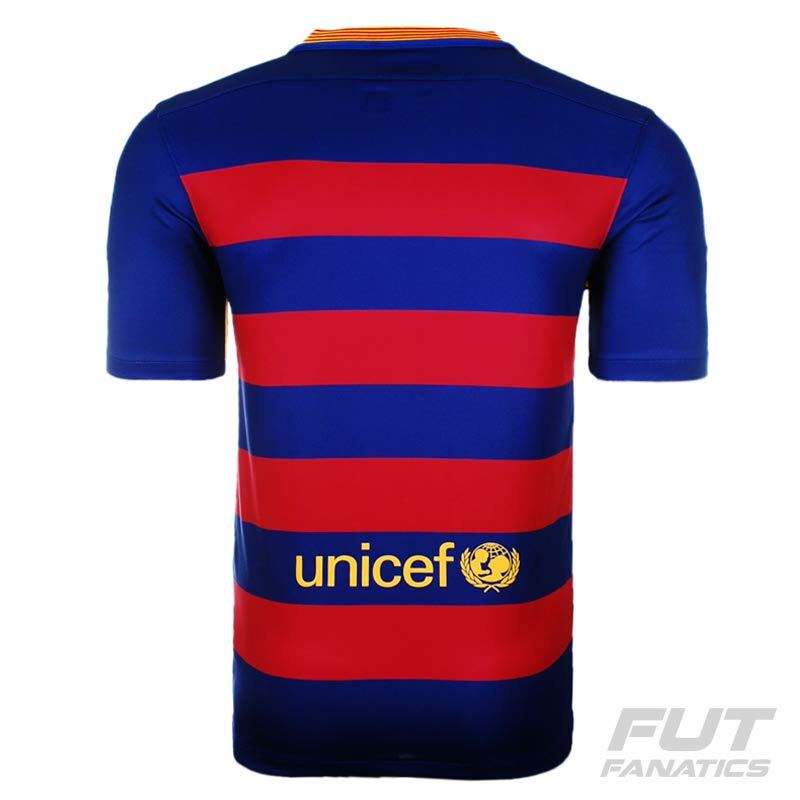 “Barça” will take the field in this amazing Nike Barcelona Home 2016 jersey, in which horizontal stripes were inspired by the famous blaugrana stripes of the flags that are waved by the fans on match day at Camp Nou. 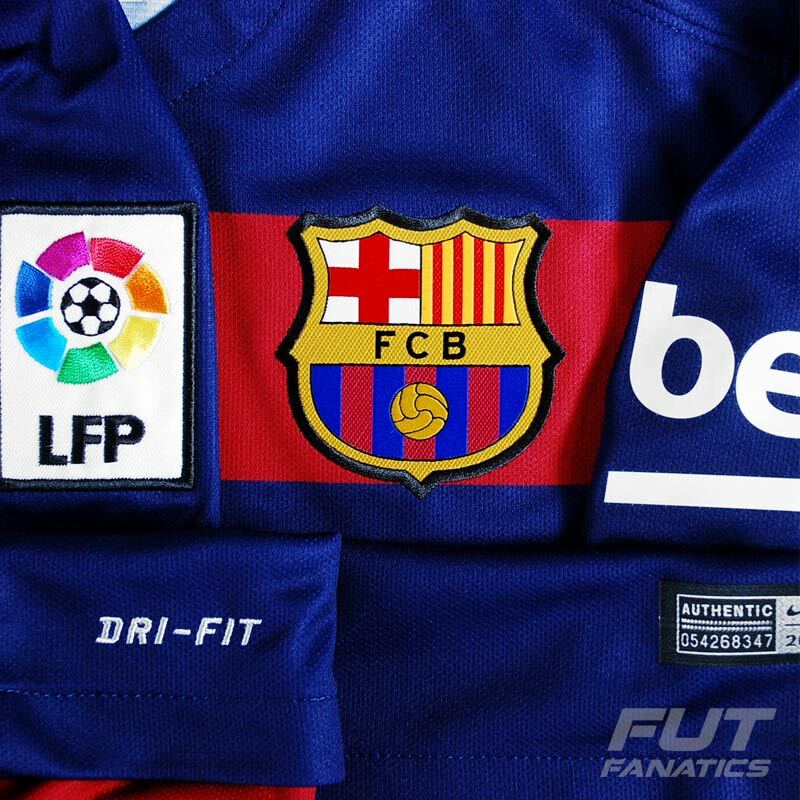 It is the first time in the long and rich history of the Club that they will have horizontal stripes on their soccer jerseys, along with a special form of lettering for the names and numbers of the players, more refined and thinner. 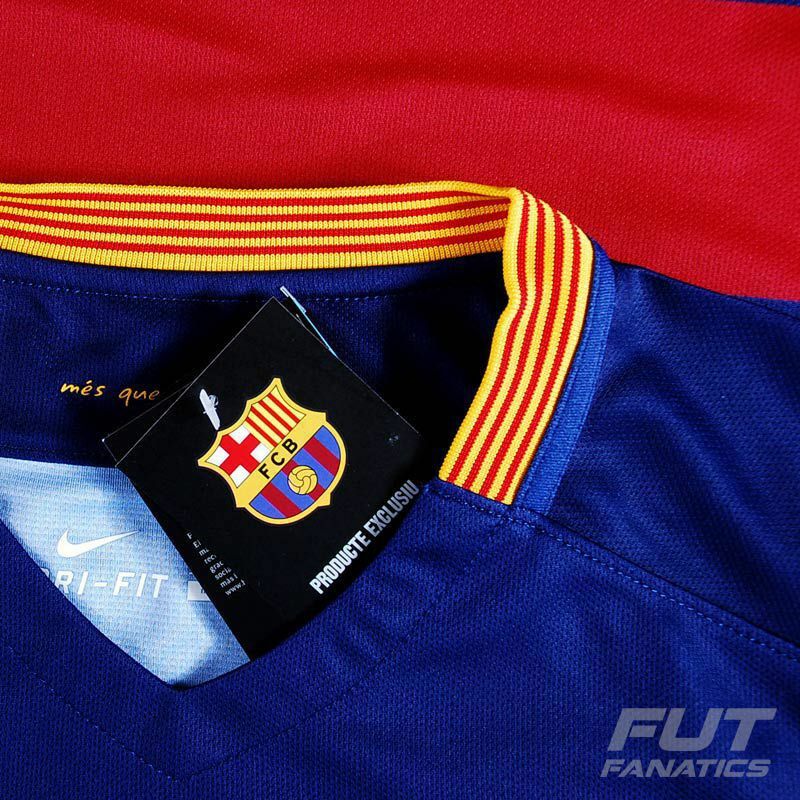 A yellow gold rivet with four thin red stripes surround the outside part of the collar and on its inside the club’s famous logo "Més que un club" ("More than a Club") can be seen.